This article was originally written for Ubuntu but it is equally able to fix “Failed to download repository information” issue in Linux Mint and other Ubuntu based Linux distributions and versions. Failed to download repository information. Check your internet connection. In this tutorial, I’ll show you how to fix this update problem in Ubuntu. As there is no more information available in the Software Updater GUI about the cause of error, we have to use the command line to find it out. As you can see above, the updater failed to find a specific PPA package. And this was the reason why Software Updater did not run successfully. In the Software & Updates, go to Other Software and look for the software source that was causing this problem. Uncheck the box before it to exclude it from future updates. That’s it. You don’t need to restart or something. Just run the Software Updater again and it should work normally. By the way, this step will just exclude this software source from the list. To completely get rid of it, read this article on how to delete a PPA. In case you are wondering why this error happened in the first place, it was because of an unsupported PPA for my current Ubuntu version. 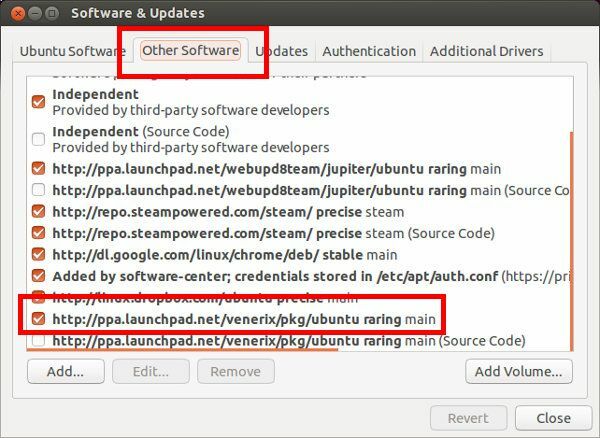 I had added a PPA which was not available for my Ubuntu version and this is why the specified URL in the update gave 404 error. Questions, suggestions, help? Feel free to hit the comment box. Thanks for coming back to me so quickly regarding the’ failure to download repository information’ error. Your suggestion has resolved the problem and software updater now works normally. E: Repository ‘http://gb.archive.ubuntu.com/ubuntu cosmic-updates InRelease’ changed its default priority for apt_preferences(5) from 100 to 500. Have you come across this before and if so, how would you recommend that I fix it? This should give you the option to accept the changes in repository. When asked, enter Y. Thanks! It fixed the issue for me.